The Community of Don Bosco College, Canlubang (Salesian priests and brothers), as well as the Faculty and Staff of the High School Department, wish you our warmest greetings of a Blessed Christmas and a Grace-filled New Year 2008! Fr. Joel will be attending a philosophical conference in Switzerland from Aug. 22-26. He will likewise visit pilgrimage and cultural sites in Italy. Please be advised that he will be out from Aug. 19-Sept. 2, 2007. Fr. Joey Paras will be the Acting Principal of the High School Department in the absence of Fr. Joel Camaya. Please refer to him for any important transaction. To continue assisting him are the other members of the department management team, Ma’am Wilma, Ma’am Tintin and Ma’am Iryne. The scheduled overnight recollection of III-Rua will push through on Monday, August 20. No less than Fr. Rector himself, Fr. Rolo Alcasid, will preach this recollection. Please be advised. No classes today, August 17, 2007, still on account of the typhoon. On Monday likewise, there will be no classes because of the Ninoy Aquino Day. Regular Classes resume on August 21, 2007 Tuesday. 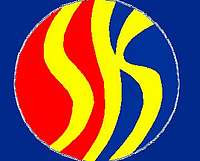 HS, college classes suspended Friday for SK listingMalacañang announced the suspension of high school and college classes on Friday for the extended registration of voters for the Sangguniang Kabataan (SK) elections in October.The Palace declared Friday a special holiday for high school and college students and encouraged them to register as voters for the youth elections on October 29.The extended listing will run until Saturday.The extension came in the wake of criticisms hurled at the Commission on Elections for its alleged failure to set up a systematic way of registration for first-time voters who have reached the legal voting age of 18. Please bring your son's "Daily Guide"
Please bring your son's "Bosconian's Daily Guide" for the Parents' Orientation this Sunday (June 24). Thank you very much! 25 Years with Don Bosco! Today as I was assisting the boys in the playground, a thought suddenly came to me. It was around this time 25 years ago that I entered Don Bosco (in Tarlac) as a student! Yes, this year, I am 25 years a Bosconian! I have always considered that day as a point of reference in my life.I looked at the first year boys and I remembered my first days as a Bosconian, albeit I was younger then, at grade four. But I am sure many things are the same for our Benjamins. There is the novelty of being able to run around freely, even play basketball or football during breaks. There were the Salesians who moved around chatting with the students—“wasting time” with them. 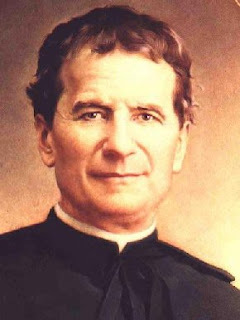 These were the very things that touched me in those days and those that greatly influenced me to remain in Don Bosco, the seed that led me later on to decide to become a Salesian.In these musings I realize that this year is indeed a moment of grace; I have thought about this only today: that after 25 years I would be working closely with Bosconians. In 1982, I was welcomed by Salesians to a Don Bosco school; 25 years later I, a Salesian myself, am welcoming new students in a Don Bosco school. Indeed, what goes around comes around!With this reflection I have invited those working in this apostolate--both Salesians and lay educators alike: make the first days of our Bosconians pleasantly memorable. That was my experience, my very own. We are very thankful that you have chosen Don Bosco College – High School Department as the educational institution and second home for your son(s). At the same time we consider you as a very important part of our educational apostolate for the young as we believe in the invaluable role you can play in the formation of your very own son(s). In this line, we wish to meet you at the beginning of this scholastic year 2007-2008 and we therefore invite you to come for the PARENTS’ ORIENTATION this Sunday, June 24, 2007 at the Don Bosco College Gymnasium. Your presence in this event will signify your willingness to work hand-in-hand with us in striving to realize the kind of Bosconian we envision your son(s) to become—“a good Christian and an upright citizen.” We hope to see you then. God bless you and your family. When given a chance to talk to young people, I often touch on the topic of change. I usually introduce two Latin phrases that usually accompany this subject matter: the terminus a quo and the terminus ad quem—the “end from which” and the “end towards which”, respectively translated into layman’s terms as what it was before the change and what it would become.I have always believed that education is a process and thus involves change in the mind of the one who undergoes this event. But much more than this is the greater scheme: the whole picture of the process of learning that involves not only the one who is educated but also everyone involved in the educative process: the educator, the other students, the parents, the environment. There is therefore a great power in education that effects change practically in the whole community. I am reminded of a documentary television program that featured how coins are polished. The coins are made to look new once again by being mixed with other coins, all of which are continually rubbed with the others’ surface. In time, they all change each other—polished and smooth.We undergo that polishing in this process of change. We are at the beginning of this school year—the terminus a quo. Altogether we move from this end and open ourselves to change. WELCOME to School Year 2007-2008! Last Thursday, June 7, 2007, the scholastic year 2007-2008 began for the High School Deparment of Don Bosco College. The first activity of the school year was the morning prayer culminating with the singing of Hail Don Bosco. Fr. Joel Camaya, SDB (Principal) introduced to the student body the new rector of Don Bosco College, Fr. Rolo Alcasid, SDB who gave his first Good Morning Talk. This was immediately followed by the introduction of the magisterium--the different persons who are directly involved in the high school department as teachers, faculty and staff members. These first two days of the school year, Thursday and Friday, are meant to be orientation days for the Bosconians.